A lot of us have that itch to open up product from time to time, right? Hello Pojo Readers, Crunch$G back here again with another article. 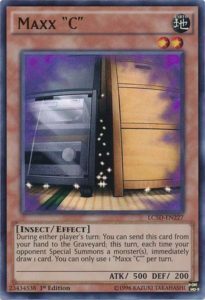 A common idea that some players might have in this community is what is a good way to invest into Yu-Gi-Oh? What are good ways to get a collection of some good cards built up? Now, some might point to Battles of Legend sets or Gold Series or an old set like Starstrike Blast where you never know when a card will see hype. Now, those are all good sets, but they typically run out of print over time, however, there is a product that Konami loves to reprint from time to time, and that’s Legendary Collections. With one exception, Legendary Collections are reprint sets that foil out some good archetypal or staple cards or giving more prints to other cards to keep them in circulation. In this article, I intend to break down the value that some of these Legendary Collections have and some good cards in them with strong future potential, so with that out of the way, let’s talk about the six Legendary Collections. Like I said, there was an exception to the rule and Legendary Collection 1 was that exception. Without releasing a set that reprinted cards, they just straight up reprinted some of the old sets. 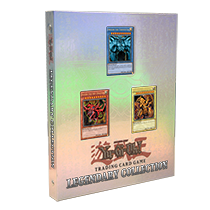 The promos in the first Legendary Collection were the three Egyptian Gods: Obelisk, Slifer, and Ra (the ones you can’t play) as well as a copy of Dark Magician, Red-Eyes Black Dragon, and Blue-Eyes White Dragon. 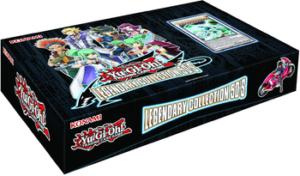 Inside the Legendary Collection you can get a pack of Legend of Blue-Eyes White Dragon, Metal Raiders, Spell Ruler, Pharaoh’s Servant, Dark Crisis, and Invasion of Chaos. Obviously, these are not First Edition packs or even the earlier Unlimited Edition packs, these have the system of where you can get a Holo and a Rare in the same pack (Holo not guaranteed). Now, the binder edition of this product is worth a lot to collectors but the Gameboard Edition is reprinted every once and a while, so if you want some nostalgia or just want to open some older packs, then this will be for you without having to spend an arm and a leg for the older packs themselves. Now it is time for what we expect from Legendary Collections with one so good, they made the Ra Yellow Mega Pack following this to achieve the same thing for a lower price. 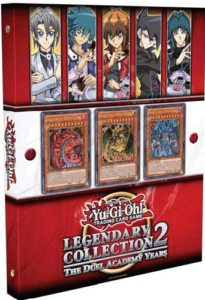 Legendary Collection 2 was a GX themed product this time around where they introduced the Mega Packs that come with several commons, one Rare, one Super Rare, one Ultra Rare, and one Secret Rare. The promos in this Legendary Collection were the Sacred Beasts: Uria, Hamon, and Raviel along with the Darklord Prize Cards: Asmodeus, Superbia, and Edeh Arae and then some cards from the manga like Elemental HERO Great Tornado, Parallel World Fusion, Lion Alligator, Spawn Alligator, Cyber Larva, Dragonic Tactics, and Court of Justice. The promos weren’t much to write home about except for more printings of the Sacred Beasts as well as making Superbia no longer a prize card, and Great Tornado was good for Elemental HEROs at the time. However, the best stuff is in the 5 Mega Packs I mentioned. Now sure, the binder of this is expensive now, and to get this out of the way now all of the First Edition runs of Legendary Collections are valuable now, but the Gameboard Edition they reprinted twice now can still give you the same value. First off, I’ll talk about a few noteworthy commons and Rares. Elemental HERO Bubbleman is a good common that doesn’t have a ton of printings. Hero Kid is good in this day in age now. Elemental HERO Stratos is a good common and it doesn’t have many recent printings considering it was banned for a while recently. Elemental HERO Storm Neos is one of the lesser printed Neos Fusions, which is common in here. E – Emergency Call is a good common in this set that HERO Players almost always play (though the aforementioned Ra Yellow Mega Pack gave it a Secret Rare print). If Evil HEROs get support, Dark Calling is a Rare in here and an important card for them. Destiny HERO – Malicious is probably the best Destiny HERO and this set printed it as a common. Grinder Golem is in here as a common, though it is Limited now. Thunder King Rai-Oh is a good common that hasn’t been reprinted that much. 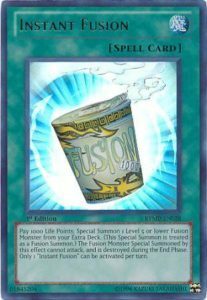 Fusion Recovery is a solid card with not that many reprints and only one Holo printing. System Down is a great common, where this and Ra Yellow Mega Packs are the only sets with this in common (not really counting DR04’s Rare version). Gateway of the Six doesn’t have many printings and it is common in here. Non-Fusion Area will be great against Fusion heavy strategies and it is common in here. This Legendary Collection is good proof that you should always take a good look at the common cards and Rares in a set, cause you never know what they hold. Following the commons and Rares, we now get to the bread and butter of these Legendary Collections, the Foil Cards. First off, I’ll mention the Super Rares. Elemental HERO Woodsman is a solid Super Rare that isn’t full of printings in case its qualities ends up being something HEROs need. We have some Elemental HERO and Evil HERO Fusions in the Super Rare slots that are good for collectors like Tempest, Rampart Blaster, Mudballman, Grand Neos, Aqua Neos, Magma Neos, Inferno Wing, Lightning Golem, Malicious Fiend (would of mentioned Magma Neos if it wasn’t printed in Shadows in Valhalla as a Super Rare). Rainbow Neos is a Super Rare and that is probably the best one. Crystal Beast Sapphire Pegasus is a nice Super Rare, along with Rare Value. Vennominon the King of Poisonous Snakes is a Super Rare for those that are probably interested. Clear Vice Dragon is in here as a Super Rare for if we ever get the anime Clear cards, same with Clear World. D.D. Crow is a nice Super Rare with few high rarity printings. Gladiator Beast Heraklinos is a Super Rare in here, which is its lowest rarity. The Super Rares all together have some pretty decent stuff in here. Just like with Super Rares, there are some solid Ultra Rares in this set as well. Neos Wiseman and Elemental HERO Divine Neos are good Ultra Rares for collectors and/or Neos fans. Elemental HERO Electrum is another good collectors card with its only foil print in this set. Evil HERO Infernal Sniper didn’t want to join the rest of the Evil HERO Fusions and decided to be an Ultra Rare. Miracle Fusion is a good Ultra Rare, along with Instant Fusion. 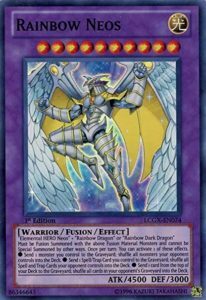 Dark Fusion is a solid Ultra Rare if we ever get a good Fiend Fusion archetype, like if Evil HEROs get more support. Rainbow Dragon is an Ultra Rare in here and was the last time I believe it was printed in foil. Cyber Dragon in the original art is an Ultra Rare in this set. Future Fusion, despite the errata, is a solid Ultra Rare. Hydrogeddon is a good Ultra Rare if you want a Dinosaur that can help get you more Dinosaurs. Along with Vennominon being a Super Rare, Vennominaga the Deity of Poisonous Snakes is an Ultra Rare. Armityle the Chaos Phantom has one of two Ultra Rare printings in here just in case it goes a while out of print again. Macro Cosmos is a great Ultra Rare card that is useful in many decks. Dimensional Prison is an Ultra Rare and was one of the best ones in this set when it came out, and might be useful for past formats. Finally, There are a few Lightsworn Ultra Rares like Garoth, Wulf, and Lumina that are worth pointing out. Finally we get to the cream of the crop of these sets, the Secret Rares. Avian, Burstinatrix, and Sparkman all have alternate arts in this set as Secret Rares which you can only get in this set. Gallis the Star Beast is a good Secret Rare that seen some recent hype at the time this article is being written. Dandylion would be a good Secret Rare if it wasn’t banned at the time this is written. Elemental HERO Flame Wingman and Shining Flare Wingman are good collectors cards. Elemental HERO Dark Neos is good for collectors and for the Neos deck and it is Secret Rare. Super Polymerization is an outstanding Secret Rare. Elemental HERO Shining Phoenix Enforcer might be a good collectors card as well, though probably not on the level as Shining Flare Wingman. Destiny Draw, a card with many holo printings, has its highest rarity printing in here, and the Ra Yellow Mega Pack, as Secret Rare. The alternate art Cyber Dragon is a nice Secret Rare, along with Cyber Twin Dragon, both Cyber End Dragons, Chimeratech Overdragon, and Power Bond. 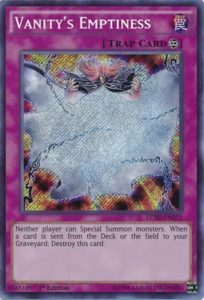 Phantom of Chaos is a Secret Rare worth taking note of. Phantom Skyblaster is a good Secret Rare to have now. All of the Yubels are in Secret Rare in this set. Dimensional Fissure is as good of a Secret Rare as Macro Cosmos was an Ultra Rare, same goes for Banisher of the Radiance. Great Shogun Shien is worth something as a Secret Rare. Finally, many of the good Gladiator Beast cards are Secret Rares in here like Murmillo, Bestiari, Laquari, Darius, Equeste, War Chariot, and Test Tiger. 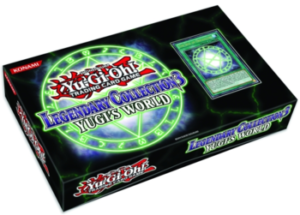 Ah yes, the Legendary Collection that is probably reprinted the most, Yugi’s World. This Legendary Collection is famous for making The Seal of Orichalcos a real card, with the other promos including Dark Necrofear, Guardian Eatos, Five-Headed Dragon, a Gorz Token, and two Kuriboh Tokens. This set was full of a ton of cards used by Yugi as well as his allies and rivals in the animated series, with a lot of holo staple reprints in here as well. This might be one of the better Legendary Collections of all time, with a ton of great stuff for collectors and competitive players, so with all that out of the way, I’ll mention some of the best stuff in this set. To keep it short and simple, the Commons and Rares aren’t the strongest in this set. A Solemn Warning is always going to be great to have. King of the Swamp also has some value every once in a while. Dark Grepher is a great card. Also Sorcerer of Dark Magic is a solid common in this set. 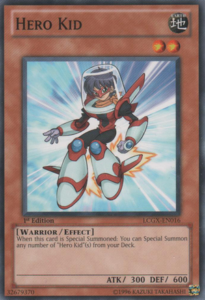 The rares probably are best known for some good Toon cards like Toon Cannon Soldier, Toon Mermaid, Toon Masked Sorcerer, and Toon Gemini Elf. Beyond all that, I think the that is all you need to know about Commons and Rares for this set. 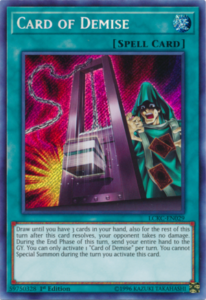 When we get to the Super Rares and beyond, you’ll see a lot of iconic cards from the show as well as several other cards for collectors, so I probably won’t mention everything just because it was in the show, I’ll mention the best stuff cause Summoned Skull has a few holo printings as well as many Commons. Now for the Super Rares worth more of a while. Dragon Master Knight is a cool collectors card that isn’t the easiest to get as a foil. Fissure might be a good Super Rare if you’re playing old school formats. Double Spell will be used for some cheeky things every once in a while. Magician’s Circle is still a decent card for Spellcaster decks. Machine Duplication is a great card with only one foil printing that isn’t Ultimate Rare, and it is in this set. You never know when Malevolent Catastrophe will be useful in a meta. Reinforcement of the Army is never going to be bad. Dragged Down into the Grave is a great card for some decks. There are a ton of vanillas that are in here for collectors value, and Mystical Shine Ball if you’re playing Venus, which is also a Super Rare in here. Chaos Sorcerer is another good card for older formats. 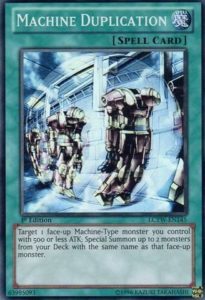 Fusion Gate is a solid card for some Fusion decks. Salvage is great for WATER strategies. Reckless Greed is a good draw card. Raigeki Break sees use every once in a while, probably better for slower formats though, and finally Sakuretsu Armor is great in older formats. Now from Super Rares we go to Ultra Rares. Breaker the Magical Warrior has a second Ultra Rare print in here since the only other Ultra Rare is in Magician’s Force and you might want it for older formats. The three Gadgets (Red, Yellow, and Green) are all Ultra Rare for Gadget decks. Gorz was once a good Ultra Rare and might be another card useful for playing older formats. Monster Reborn is never a bad reprint, especially in Ultra Rare. Heavy Storm might be good to have in Ultra Rare in case it comes back. Dust Tornado is once again one of those cards good for playing older formats. Morphing Jar is a good Ultra Rare slot if you can’t afford a TP2 Morphing Jar. Limiter Removal has an Ultra Rare printing in here and can be good in Machine OTK decks. Mind Control is a very powerful Spell still and it has an Ultra Rare printing in this set. Trap Hole might be a good Ultra to have if you want to play it in an older deck and Bottomless Trap Hole might become relevant again one day. Royal Decree is good against Trap heavy decks. There are a ton of different Gravekeeper’s cards in here as Ultra Rares. Skull Servant is in here as a Ultra Rare if you want foil copies for a Skull Servant deck. Needle Worm is similar to Morphing Jar where you can get it in here as Ultra Rare if you can’t get the TP3 Ultra. Spirit Reaper is good in some old decks. Upstart Goblin is nice if you can’t find a card to put in the last slot of your deck. Finally, Swords of Concealing Light can be a very good card, along with Mind Crush. Finally for the good stuff, the Secret Rares. Dark Magician and Dark Magician Girl are both Secret Rares for collectors and for Dark Magician players. 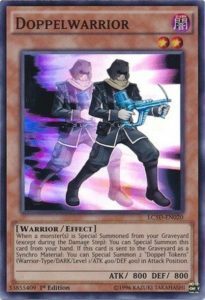 Black Luster Soldier – Envoy of the Beginning will always be valuable when it goes a while without a reprint. Dark Magician of Chaos is still a decent card, despite the errata. 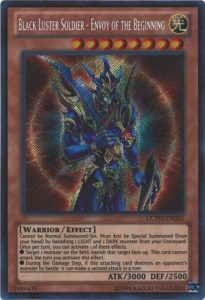 Dark Paladin can be useful in a Dark Magician deck with The Eye of Timaeus and is a good collectors card. Raigeki still doesn’t have a budget reprint, so getting a Secret Rare of it from here is nice. Dark Hole is still good and it’s Secret Rare in here. There are a ton of banned cards in here as Secret Rare, including the following: Pot of Greed, Graceful Charity, Change of Heart, Harpie’s Feather Duster, and Mirage of Nightmare. Card Destruction makes for a nice Secret Rare to have. Mystical Space Typhoon might be good if it ever becomes the preferred Spell/Trap removal again. Brain Control might be useful in older decks since the errata hurts it. Horn of Heaven finds use every once in a while. Mirror Force might be a good Secret Rare to have. Sangan might find a niche in the meta again one day. Solemn Judgment is never going to be a bad card. Sinister Serpent is an important Goat Format card I know. Imperial Order is a great floodgate card still. Torrential Tribute is a good Trap card. Kycoo is a nice Secret Rare. Prohibition can be useful to shut down very powerful cards. Book of Moon is a nice card to have since it is still pretty good. Compulse and Phoenix Wing Wind Blast are still pretty solid Traps. Finally, the Exodia limbs might be nice to have in Secret Rare. 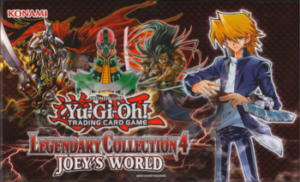 From Yugi’s World we move forward to Joey’s World and a set based around Joey Wheeler and his rivals and friends from the anime. The promos in this set gave us Blue Flame Swordsman, Harpie Lady Phoenix Formation, Card of Last Will (which cannot be used in a duel because it is way too good), as well as 4 Sheep Tokens and 2 Lamb Tokens for Scapegoat and Stray Lambs. This set is similar to Yugi’s World in what it was meant to achieve, and some cards from that set were also reprinted in this one, few of which had the same rarity. First off for the commons, there were 19 commons in this set imported from the OCG to the TCG and 18 of those were Normal Monsters (2 Fusions) including Bracchio-Raidus, Great Mammoth of Goldfine, Meotoko, Kageningen, Stone Armadiller, Anthrosaurus, Skull Stalker, Wolf, Hero of the East, Tomozaurus, Little D, Sword Arm of Dragon, Megazowler, Ancient Tool, Giganto, Sword Slasher, The Snake Hair, and Monster Tamer. Some of those previously mentioned commons have some funny flavor text as if Joey himself was telling you about the monsters. The other common that was imported into the TCG was Sixth Sense, which was so powerful it was Limited on release and banned immediately afterwards if I’m correct. For other commons, there were a few banned cards in the commons: Fiber Jar, Makyura the Destructor, Giant Trunade, and Premature Burial. Beyond that you got Treacherous Trap Hole and Chaos Trap Hole as commons in here. Also Soul-Absorbing Bone Tower might be good in degenerate Zombie Mill decks. This set was mostly built to try and collect all the commons as foils were easier to get. As for Rares, I guess you got Jinzo, Lava Golem, and Chain Destruction, but that’s about it there. For Super Rares, Harpie players have Harpie Lady 1, Elegant Egotist, Harpie’s Hunting Ground, and Hysteric Party as Super Rares in here. 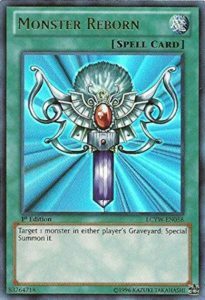 Call of the Haunted is still a good card for reviving monsters. Dark World Dealings is a nice card for discard decks. Super Rejuvenation might come back one day and it might be good in some Dragon decks. Beyond that, there aren’t many strong Super Rares in this set. As for the Ultra Rares, of course you were going to have Red-Eyes B. Dragon in here as a foil and in this pack it is given the Ultra Rare treatment. Monster Reborn gets another Ultra Rare reprint in a Legendary Collection. Harpie’s Pet Dragon was a great reprint at the time since it was so rare to come by and so expensive, and it hasn’t gotten a reprint since this set. Harpie Queen is a good Harpie monster in the deck. 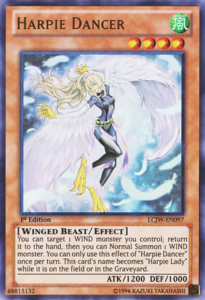 Harpie Dancer was imported to the TCG from the OCG in this set and is another good Harpie monster. Spirit Reaper also got a repeat Ultra Rare print in this set. Book of Life is a decent revival card in Zombie decks. Zombie World is a great Field Spell that can shut down certain strategies. Beiige, Vanguard of Dark World is nice in Ultra Rare for Dark World players, same goes for The Gates of Dark World. Gravekeeper’s Steele is a great recovery card in Gravekeeper’s. Heavy Storm got a repeat Ultra Rare print in here, and again is nice to have in case it comes back. Reinforcement of the Army got upgraded to Ultra Rare in this Legendary Collection. Trade-In is still a good draw card. Horn of Heaven once again finds use every once in a while. Finally Imperial Iron Wall makes for a great floodgate. Now I finally get to the Secret Rares, which always seems to be the best part of these sets. Red-Eyes Darkness Metal Dragon is still an amazing card for Dragon decks and has its highest rarity print in here as Secret Rare. Raigeki got a reprint once again as a Secret Rare. Pot of Greed repeats itself as a Secret Rare, same for Harpie’s Feather Duster if you want banned Secret Rares. Scapegoat is good for token generation in this format as well as the format named after it, Goat Format, so you might want a Secret Rare copy. Foolish Burial is a good and valuable Secret Rare. Bottomless Trap Hole gets an upgrade to Secret Rare in this set. Mirror Force is a repeat Secret Rare. Kabazauls and Sabersaurus are good vanillas for Dino Rabbit format and Sabersaurus is still fine with Rescue Rabbit. Solemn Judgment gets a repeat Secret Rare print in here. Some of the best Dark World cards are Secret Rares in this set, which includes Broww, Snoww, Sillva, and Goldd. Gravekeeper’s Spy is still good in the Gravekeeper’s deck and got an upgrade to Secret Rare from Ultra Rare in Yugi’s World. Mystical Space Typhoon, Dark Hole, and Book of Moon are more repeat Secret Rares. Pot of Avarice is a nice Secret Rare in case it comes back. Finally we got two repeat, but once again good Secret Rares in Compulse and Torrential Tribute. Man, this set had a lot of Secret Rares from Yugi’s World as Secret Rare in here. I feel like it was obvious that the fifth Legendary Collection should be around the 5D’s era, and it was. Obviously in this pack you are going to get some good Synchro related archetypes and cards as well as a few other cards popular from the 5D’s era. The promos in here were pretty good since it gave us reprints for Shooting Quasar Dragon and Black Rose Dragon where before this Quasar was a Jump promo only and this was its first and only reprint and before this Black Rose Dragon was expensive before this and was the first printing of this card since 2008 and ever since this came out, it never had a strong price value again except Ultimate and Ghost Rares of course. The promos also gave us some TCG exclusive cards from the 5D’s anime with Jormungardr the Nordic Serpent, Fenrir the Nordic Wolf, and Stardust Flash. First off in this set to talk about is the commons and Rares. A big common reprint in this set was Effect Veiler, and Veiler is still never a bad card to have. Junk Forward has its usefulness and it being a common in here is pretty good. All of the Signer Dragons are commons in this set, which include Stardust Dragon, Red Dragon Archfiend, Black Rose Dragon, Black-Winged Dragon, Ancient Fairy Dragon, and Life Stream Dragon. Speaking of Life Stream Dragon, you also get a common Power Tool Dragon to summon your Life Stream Dragon. Road Warrior was a good Synchro in older Synchron decks and some might still make use of it. Tuning is a great common for all your Synchron needs. Vice Dragon can be good if it finds a niche. Creation Resonator is a good Resonator card and you got the searcher in Resonator Call in this set. Evil Thorn is a fun Plant card to help get two more Evil Thorns on your field. Black Salvo is a pretty cool card that is a common in here. Avenging Knight Parshath can be a useful Synchro in the right deck. The errataed Dark Strike Fighter was printed in this set. Now for Rares. First off, Level Eater is a good card to have if it is ever unbanned. Mono Synchron and Steam Synchron were both imported from the OCG into here as Rares. Exploder Dragonwing might be a nice Synchro for some Dragon decks. Splendid Rose is the same as Dragonwing for Plant decks. Hyper Psychic Blaster is a cool Synchro for Psychic decks, and finally Driven Daredevil can be a cute Synchro for Warrior decks. Now we can move forward into the foils, starting with Super Rares. Doppelwarrior is still a great card in Synchron decks and it has its only foil printing as a Super Rare in this set. Junk Archer, Junk Destroyer, and Junk Berserker are some cool Synchros to use with Junk Synchron or Quickdraw Synchron. Chaos King Archfiend is a pretty cool card if you have Fiend Tuners. Red Nova Dragon is a good card in Red Dragon Archfiend decks. Rose Archer can be useful for Trap negation in Plant decks and its only foil print is in here. De-Synchro is fun with Formula Synchron shenanigans. All the Earthbound Immortals and Earthbound Linewalker are Super Rares in here because you never know when Earthbound Immortals will get support. Hundred Eyes Dragon is cool with some Infernity shenanigans. All the Meklord Emperors are Super Rares are in here, including the best one being Wisel. T.G. Blade Blaster and Halberd Cannon are Super Rares in here for T.G. players. 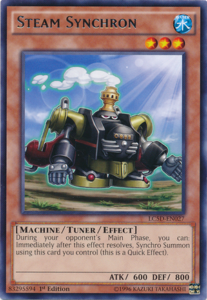 Metaion, the Timelord is a useful card for some side decks in certain formats. Finally, Goyo Guardian is an ok card with its errata now needing an EARTH Tuner, but the errataed form isn’t in this set. Now to move into the Ultra Rares. First off all the Signer Dragons that were commons are Ultra Rares in here except Black Rose Dragon (since it was a promo) and Life Stream Dragon (since it was never summoned in the English anime). Quickdraw Synchron and Synchron Explorer are nice as Ultra Rares for your Synchron decks. One for One is still a really good card and it has a foil print in here. Advance Draw is a cool draw card while Cards of Consonance is a really good draw card. Starlight Road can be useful if mass destruction becomes relevant again. Trap Eater is good against some Trap heavy decks. Fallen Angel of Roses and Queen Angel of Roses are cool Plant cards in here as Ultra Rares. Magic Planter is another good draw card for some decks with Continuous Traps. A lot of good Blackwing cards are Ultra Rares in here, including Gale, Bora, Bilzzard, Kalut, Gladius, Armed Wing, and Black Whirlwind. Vanadis the Nordic Ascendant is a really good Tuner in Nordic decks. T.G. Striker and T.G. Rush Rhino are useful cards for T.G. decks. Maxx “C” will be good to have if it gets unbanned. Finally, you got Naturia Beast and Barkion to stop Spell and Trap decks respectively. Finally for this set, the cream of the crop in these sets, the Secret Rares. Junk Synchron, Quillbolt Hedgehog, Tuningware, Debris Dragon, and Unknown Synchron are pretty cool cards for Synchro decks. Armory Arm can be useful for some OTKs. Formula Synchron is nice in Secret Rare. Battle Fader makes for a cool Secret Rare. Crimson Blader is a good generic Synchro. Fiendish Chain is still a pretty solid card overall. Glow-Up Bulb is one of the best Tuners in the game. Black Garden is a really good Field Spell for some decks. Blackwing Vayu and Blackwing Armor Master are still solid cards in Blackwing decks. Trap Stun is a pretty solid card to shut down Traps for a turn. The Aesir monsters are all Secret Rares in this set, along with some of the good Nordic cards. T.G. 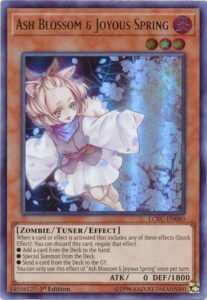 Cyber Magician, Warwolf, Wonder Magician, and Hyper Librarian are good cards to have in Secret Rare, same with TG1-EM1. Super Nimble Mega Hamster is still a cool card. Thought Ruler Archfiend and Colossal Fighter might be useful in a few decks still. Trident Dragion is a cool Synchro in Dragon decks that can summon it. Stygian Sergeants is cool for some Fiend decks. Vulcan the Divine might still have some niche uses. 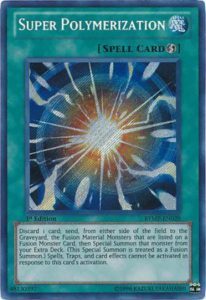 Emergency Teleport is a great card with some Psychic monsters still. Debunk and Full House have some useful applications. Finally, Vanity’s Emptiness is a great card to have as Secret Rare for if it gets unbanned. 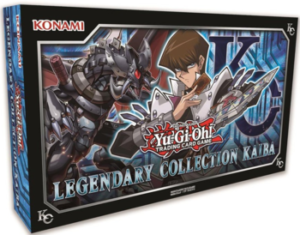 After the 5D’s Legendary Collection, we went nearly three years without a Legendary Collection, but in 2018 we finally got a Legendary Collection for Kaiba. This Legendary Collection was different as there were three packs of 10 cards instead of five packs of 9 cards, and every card in those packs were either Ultra or Secret Rare. The set was full of Kaiba related cards along with tournament level cards, powerful Dragons, and old Tournament Pack cards which all seems fitting for Kaiba. The five promos in here were all brand new: Goddess of Sweet Revenge, The King of D., Destruction Dragon, Dragon Revival Rhapsody, and Loop of Destruction. All the promos were Ultra Rares, but came in Secret Rares in the Mega Packs as well. For the Ultra Rares in this set, you have some cards useful for playing old formats along with current day. First off, Blue-Eyes White Dragon was obviously going to be in here and it has four different artworks in this set. If you like old beatdown formats of 2002, then La Jinn and Vorse Raider might be useful to you in Ultra Rare. Master with Eyes of Blue is a useful card in some modern Blue-Eyes decks. Vampire Lord is a good Tribute Monster in older formats like Goat Format I believe. The Fang of Critias makes for a good collectors card in Ultra Rare. We got four of the Virus cards in Ultra Rare: Crush Card, Deck Devastation, Eradicator Epidemic, and Full Force Virus. Ring of Destruction can still be a solid spot removal card. Mirror Force is always cool in Ultra Rare. Blue-Eyes Twin Burst Dragon can be a handy Fusion to have for Blue-Eyes players. Mirror Force Dragon and Doom Virus Dragon are good Fusions with Critias. Thunder Dragon is a really nice Ultra Rare since this was its first foil printing and its highest rarity today. Ancient Fairy Dragon can be useful if it returns. There are several hand traps in this set which are probably the biggest chase cards: Droll & Lock Bird, Ghost Ogre & Snow Rabbit, Ghost Reaper & Winter Cherries, Ash Blossom & Joyous Spring, and D.D. Crow. Dragunity Dux, Legionnaire, and Phalanx are all in here. Raigeki is always going to be a good card. Double Summon is a useful Spell for some decks. The Monarchs Stormforth is nice in here being its highest rarity. Fiendish Chain is once again a decent card still, and finally Just Desserts is good for burn decks and this is its only foil printing and it doesn’t have many printings either. Now for the Secret Rares in this set. Blue-Eyes Shining Dragon is a great collectors card to have, and I doubt many of you want to pay the price for a Retro Pack 2 Shining Dragon. The White Stone of Legend, The White Stone of Ancients, Sage with Eyes of Blue, and Dragon Spirit of White are great Secret Rare upgrades for the Blue-Eyes deck. You also got all the ABC pieces and the ABC – Dragon Buster in here as Secret Rare. Polymerization gets its first Secret Rare print in here. The Melody of Awakening Dragon is another good Secret Rare upgrade. Card of Demise is still an amazing draw card. Enemy Controller finds niches every once in a while. Silver’s Cry makes for a great Secret Rare to have. Lullaby of Obedience can be a useful Side Deck option for Mirror Matches. 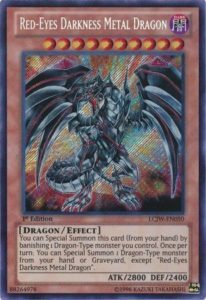 Blue-Eyes Ultimate Dragon in high rarity is always a good collectors card, same with Dragon Master Knight. Azure-Eyes Silver Dragon also makes for a nice Secret upgrade in Blue-Eyes decks. Dark Armed Dragon now has a Secret Rare print outside Phantom Darkness in here. Beelze of the Diabolic Dragons is still a good Synchro and has its highest rarity in here as Secret Rare. Return of the Dragon Lords and Dragon Shrine are useful for many Dragon decks. Trade-In is always a good draw card. 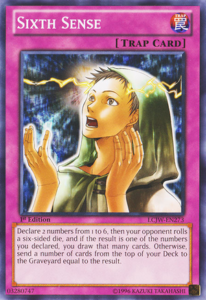 Number S39: Utopia the Lightning is a great card in the Rank 4 toolbox if you have Number 39: Utopia from other sets. Terraforming is a great card if you use Field Spells. Cards of Consonance is another good draw card like Trade-In. Chain Disappearance can be useful from time to time. Finally, Delinquent Duo is a good Secret Rare to have for Goat Format or if it somehow comes off the Forbidden section of the list. Legendary Collections have always done good for giving rarity upgrades to cards as well as having high value reprints in these sets, offering high value from opening one up. If you want a max rarity deck or just want a card without having to give an arm and a leg for it, Legendary Collections do help out. I hope to see more in the future, especially a Zexal one since that could give some great reprints from that era along with some other Xyz monsters, but I digress. If you want to spend your money opening some product, a Legendary Collection isn’t the worst route to go if you have the $30 or such, and they do get reprinted every once in a while as well if you can’t find any right now.